I was excited to be heading to the amazing Liverpool Philharmonic to watch multi-platinum selling David Gray. 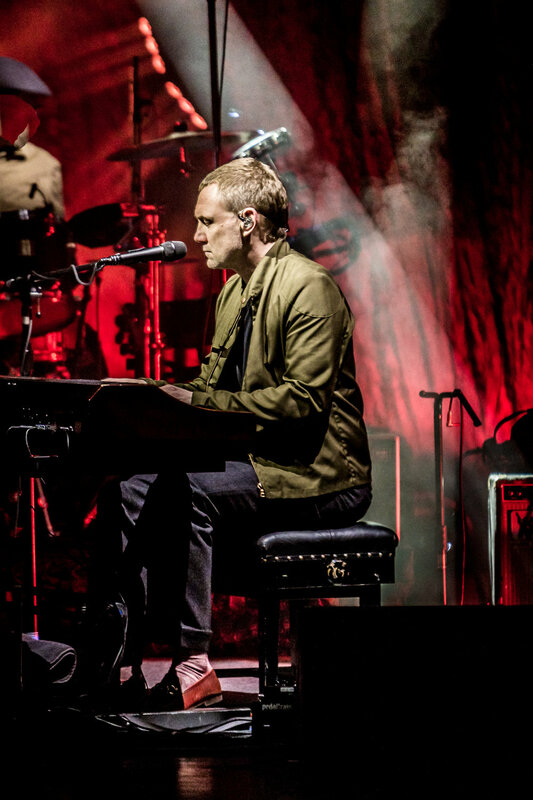 Introducing tracks from his much anticipated new long-player, “Gold In A Brass Age”, his first new record in 4 years, David Gray is back in business. I guess it must be a bit unnerving introducing a new record and new tracks to your fans when you have such an iconic back catalogue of massive hits and albums that have sold millions. But that was what tonight was about and it was straight into the new record and the audience seemed to take to it right away. David himself seemed to be quietly pleased, sporting a very wide smile and was full of thanks and praise for the very appreciative audience. Here is a man who just loves the art of song writing, stating that “he needed to make this record” and to be quite frank, I’m glad he did. The new record explores new electronica, different sound-scapes and textures, new production techniques and is very atmospheric. But the essence of David Gray is still there, piano, guitars, big and small, and that voice which sounded absolutely amazing in this acoustically superb venue. Then it was time for the classics and he rolled them all out, “Babylon”, “ Sail Away”, “The One I Love”, “Please forgive Me” to name just a few. Dave Gray played for approximately 2 hours and it flew by, his new record sounded great and the songs we cherish and love still stood the test of time, still moved us in the same way. I loved tonight and all the songs that were played new and old, well done sir, well done!! Newer PostWeezer Play The Edgefield Ampitheater!